Why does my cursor disappear while typing? - Ask Leo! Why does my cursor keep disappearing? Almost every sentence that I type disappears and I have to click the mouse to get it back so I can continue typing. Just in writing these two sentences, it disappeared three times. First, let me clear up one thing. You don’t need the cursor to type. A disappearing cursor could be a bug, but it’s also possible that it’s a feature. It depends on the cursor that you’re seeing. 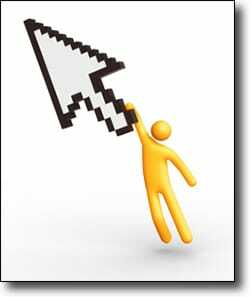 Let’s begin by talking about the cursor. When writing in Microsoft Word or some other program, you should be able to type wherever you happen to be without the cursor. The cursor icon is only an aid that shows you where you are typing, but you don’t need it to be able to type. If you don’t see the cursor, you can continue to type additional keystrokes. If you still have problems with the cursor, this could go in several directions. It is possible that the disappearing cursor is a bug. To rule this out, make sure that you have the most recent drivers for your mouse, your display, and your keyboard. These devices actually interact in some interesting ways when it comes to cursors. A problem with any of them could potentially cause the cursor to misbehave. Uncheck that box and click OK. If that makes a difference to you, then you’re all set. If the cursor still disappears when you’re in a single application or a suite of programs (like Microsoft Office), it’s possible that it’s still an option. The next step then is to fire up Notepad. This is one of the simplest input utility programs that you’ll find in Windows. Test the cursor by typing; it’ll add plain text to the page. If your cursor disappears in Notepad, review the Control Panel again and update your drivers once more. On the other hand, if the cursor remains displayed in Notepad, focus on the applications where you see the problem and do some spelunking. Determine what options are available for those applications and see if they have a setting to turn off the cursor while you’re typing. While you may find the cursor useful and perhaps even necessary to track where you are, many people think it’s a visual distraction. Having an option to turn it off seems reasonable. That’s what I’m expecting to see here. « Previous post: Will I Lose All Data When My Computer Crashes? My cursor jumps around a lot when I’m typing on my laptop because I accidentally hit the mouse pad. Especially when it’s on a desk that is too high so it’s hard to lift my wrists high enough. I can deal with it because I know exactly what’s happening. But I could see how it might be described as “disappearing” if I didn’t know my wrist and thumb was causing it. So that’s another thing to look for too. I’ve experienced something similar – when writing, the application I was using, suddenly wasn’t in the foreground anymore. It was because of the Windows Search service crashing all the time and restarting. Try to check your systemlog for services that fail and try to restart. Assuming no malware and that you have all settings correct, if the program that you are using is heavy on graphics the screen may not be re-drawing quickly enough to have an active cursor all the time. This can also happen when working on very large documents. This can be helped or even eliminated by adding more ram (if your computer hardware and OS can handle it) and by upgrading the graphics card if possible. Another thing that you can do if running Windows is to go to the Control Panel, Performance Information and Tools and click on Adjust Visual Effects. There you will find settings like Let Windows Decide, Adjust for Best Appearance, Adjust for best Performance or you can selectively turn off features that you don’t particularly need or want. 1. As Connie said, you may be inadvertently touching the trackpad or other pointing device, and moving the cursor out of the working app’s window, thereby causing it to lose focus. Or, it could be a misbehaving pointing device. 2. As Carsten said, there may be a misbehaving app stealing focus from the working app’s window. This one could be hard to diagnose – you’ll have to read Leo’s article on using Process Monitor. Unless you know you have a problem with your pointing device, I believe this is the most likely cause. 3. It could be something more sinister, like malware. I think the point is that the OP said that “I have to click the mouse to get it back so I can continue typing” meaning (to me) that this is not just a cosmetic issue with the cursor. In my mom’s computer, when the cursor disappears, it also stops typing anything. My dad does not look at the screen while typing, so he often types a couple of sentences that do not appear on the screen. This isn’t just about the cursor itself. It’s about actual interruptions in the typing process. That’s typically the result of some other program or device driver actually, effectively, bringing the entire computer to a temporary halt, or preventing any kind of input for a while. There are a variety of reasons that can happen, but it’s extremely difficult to diagnose. Like most things it should never happen, but of course it does. I’d pay careful attention to what other software is running at the time, consider running as little as possible, and because drivers can also cause this kind of issue making sure that the drivers on the system are as up to date as possible. Click Ok and your pointer should be re-freshed now. Spent 2 days trying to fix this problem on my HP computer under severe pressure from my wife and daughter. Realized that the cursor was OK for the the first 5 seconds of typing and that then it would go away for 5 seconds and then come back and be OK and repeat. It happened in all browsers Chrome/Firefox/IE. Seemed like something was taking over processor, but couldn’t find anything looking at CPU diagnostics. Searched the internet forums, ran malware and adaware programs and nothing seemed to work. Finally thought about disabling add-ons. Found one in my google chrome plugins (bullsaver???) I think. Removed it and my computer went back to normal. So looking ar add ons or plugins in all browsers may help you locate the issue. Figured I’d post this somewhere since I couldn’t find a solution elsewhere. I got Belkin Wireless, when it is connected, the cursor does not work properly, and when I disconnect it everything goes back to normal. To write these two lines it took me like 5 mins. I don´t know why this keeps happening- Can anybody help? Belkin wireless *what*? Belkin makes hundreds of different devices.